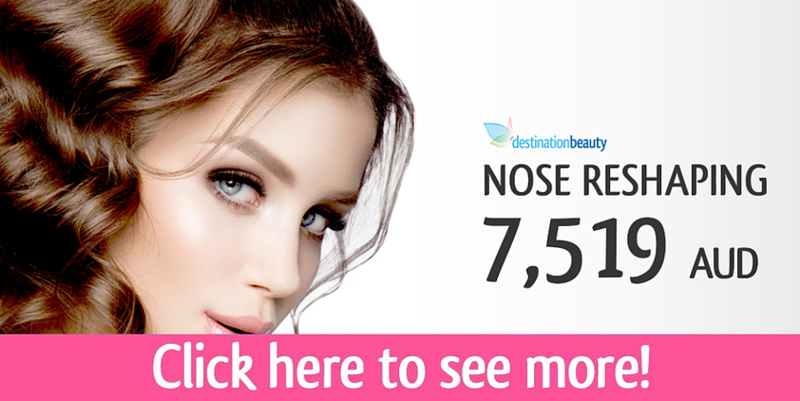 Alyssa’s 450cc breast augmentation and her new nose – nose job in Bangkok! Alyssa, from New Zealand decided to come to Bangkok to have her nose and breast surgery with Destination Beauty. 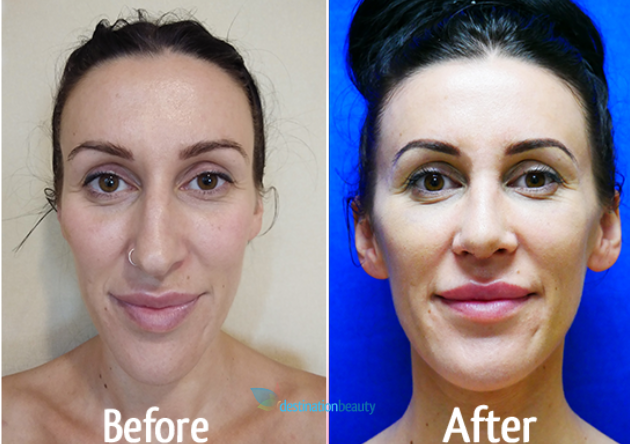 She shared with us that her friend who also had breast augmentation with Destination Beauty recommended us to her so she went ahead with the surgery! 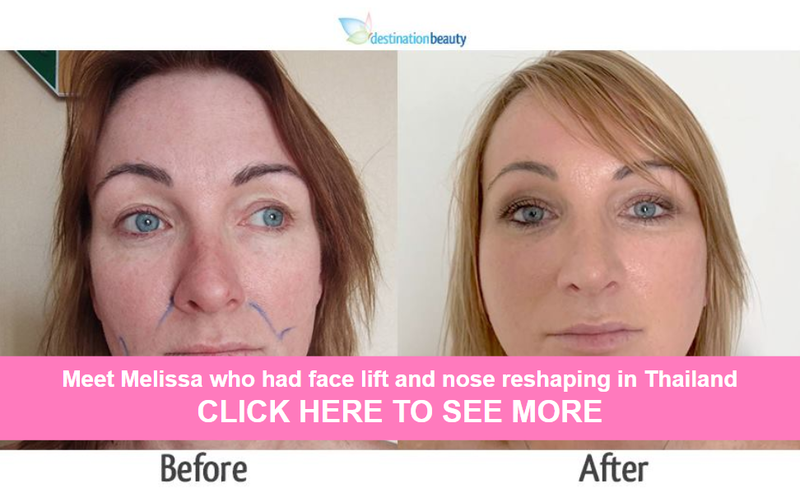 Alyssa had nose reshaping and breast implants in Thailand! We took Alyssa sightseeing around Bangkok, took her on a local boat ride to visit the most famous temple in the city center of Bangkok. 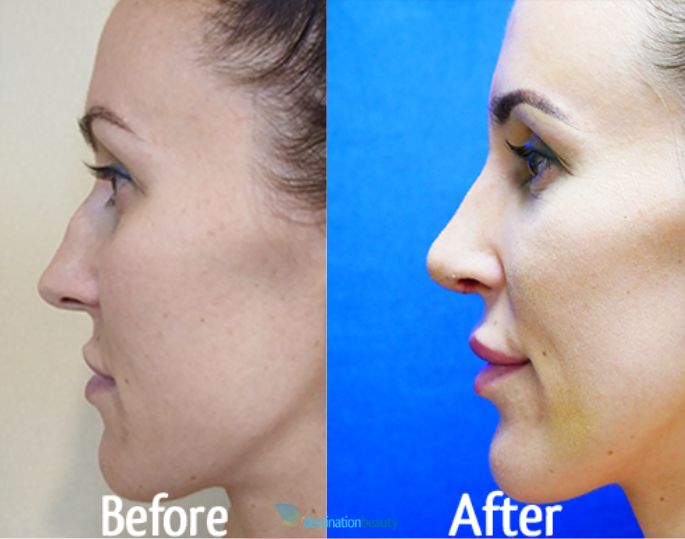 See more pictures and videos of Alyssa’s nose and breast surgery journey below! Watch a video of Alyssa after breast and nose surgery, enjoying the pool side at luxury 4 star hotel in Bangkok. Next Steps Towards a Nose Job, How Much Does It Cost?